Ideal for race weekends or trips away the generous sized OMP Travel Bag is constructed from a sturdy gauge nylon for excellent durability. The Travel Bag, as expected from a name such as OMP uses their vast knowledge of this type of luggage and is equipped with large side pockets and a large central compartment for all your racewear. 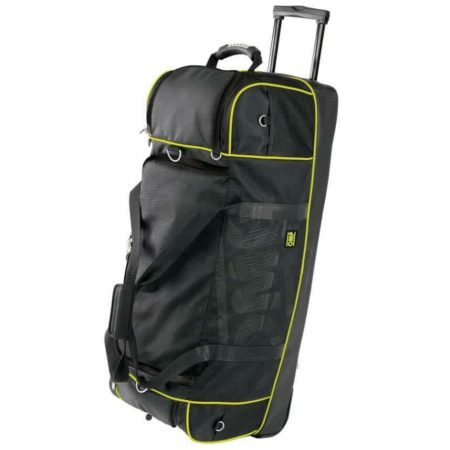 Designed with a retractable handle, wheels and an anti-rollover rigid base the travel bag is easier to transport but also includes an adjustable carry strap when towing is not feasible.